Indeed. 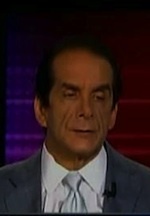 Charles Krauthammer never fails to bring clarity to an argument, or rather, unfounded charges. Remember the Shirley Sherrod story exploded after the NAACP decided to label the Tea Party folks, like me, as racists, without proof and based on nothing more than wild accusations. But when you have lost the big government is the answer argument (proven by a foundering economy) then what other card can you play. In the course of one year the Tea Party protesters became a force and began to shape the political/economic debate. They convinced the American people the Stimulus would not work, and it did not. They told Americans you would not keep your doctor or insurance in Obamacare, and they were right. They told us the deficit would bankrupt us and lead to higher taxes for us and our children, leading to Federal Government servitude. They won the argument. And as this grass roots movement of moms and grandmas grew ever larger, the polls began to turn too. Democrats began to lose. The Tea Party had won the debate … and so the only choice of a desperate, fading ideology was scream ………raaaaaaaaaaaaaaaaaacist. The irony here is that the woman who brought all of this to a head, who lost her job to a false charge of racism … actually played the same card herself in that speech to the NAACP. Too much. Perfect, don’t you think? And now, because her charge is on the same page as the One, and the NAACP, and the lefty media, she is offered a promotion. As for the Tea Party folks … why, now we know you are really raaaaaaaaaaaacist. Editor’s note:I did not invent the raaaaaaaaaaacist line, as much as I would love to take credit for it. That belongs to a woman of great courage, Michelle Malkin. It fittingly mocks the indiscriminate way in which lefties throw it around so as to demean its true meaning in our culture. It used to have meaning, but that is now diminished because of its unfounded overuse. The lefties have seen to that. It is my sincere hope that some day soon minorities who come to understand this. That this is a fight for the personal freedom of all people and that the left uses them to advance their lefty agenda. Ah yes, the scarlet letter of racism. The last refuge of the lefty scoundrel. One can really appreciate with a certain degree of awe the decision of the Democrats to cast Hillary aside, knowing that Øbama would have this shield of racism surrounding him that is better than any Teflon suit, and would give them a virtual carte blanche (carte noir?) to do pretty much as they please, which seems to have been the case. And it was predicted by Rush, Levin, Hannity etc., and they were all scorned, because nobody wanted to think that the Dems would stoop that low. Well look who's laughing now. Now that Congress is virtually tanking in the polls, you can expect this to get worse. Maybe more strolls down racism memory lane by John Lewis, hand in hand with Pelosi, trying to incite attacks? More infiltrators of TEA party rallies in lame attempts to besmirch them with the racist label? Faked, Photoshopped images? Who knows? It is frightening what some people will do out of desperation. I think it is time that everyone realize that incompetence, ignorance, greed, avarice etc., and yes, racism, are not limited to any single race. The race card, and the muzzling of people under the questionable auspices of political "correctness" need to be discarded along with socialism and other bad ideas into the dustbin of history. Discrimination against others generally springs from the motive of pride, in other words seeing others as inferior, and often spawns anger and hatred. Human beings who haven't dealt with this "deadly sin" invariably put others down: be they individuals, groups, cultures, nationalities, etc. Discrimination comes in all forms, racism being one of them. Other main categories include social standing, economic status, faith and cultural background. There are then sub-levels such as linguistics, professional level, gender, intellect, etc. So, although racism appears to be the big issue in the US it manifests in many other ways in just about every human experience on this planet. What we are dealing with here are superficial results of deep-seated problems. Unless individuals recognize and deal with the root of their own problem(s), and want to change, its manifestation(s) will only blossom. This principle can be applied to just about any other "trait" that is undesirable, or against moral standards. We should all be willing to examine our motives and intentions, and change what is unclean, unholy and unforgiving. As a footnote: discrimination is not to be confused with discernment. Discernment is objective and is a God-given gift augmented by knowledge and experience. Discrimination is based on various degrees of pride and hatred. As always, CK quietly, eloquently & intelligently lays it all out for inspection. While it irritates me to no end that the entire Tea Party is classified as racist, I'm not going to take it personally because I am not a racist. At the same time, the left doesn't think that it's racist to nominate a president based on color (not experience), any more than they think it's racist/sexist to force businesses to hire minorities and women over someone who may well be more qualified for a position. It's policies like the one just mentioned that lead to widespread rancor…unless you're one of the lucky winners! AND if the lefties are hoping to create a more racist environment in this country, they're going about it in the correct manner. And then, after creating that nasty climate and assuaging their guilt, they'll turn around and call us racist…again. Can't believe this woman is still being demonized. The story here, the strategy used by Breitbart, Fox, Limbaugh et al is the old "we are becoming the minority..THEY are taking over!" Limbaugh came right out and said it, calling whites "he new oppressed minority" in the Obama era. Glenn Beck said "Obama hates white people and white culture". Fox has been advancing the Van Jones, Acorn, The new Black Panthers (all 2 of them) and Sherrod stories ad nauseum-why? Because it is the old "the blacks are taking the whites' jobs, black people are racist against white people". It's called the "southern strategy" to stoke fear. When called out on it, the response is "we are not racists, THEY are." Why does it seem like you just come on here to spew left wing talking points and then vanish without ever defending them? 1, Rush likes to point out absurdity by being absurd, if your taking his "Whites are the new minority" thing as anything more than him pointing out how absurd the left CAN be, then your just nit picking. 2, Fox news is doing no more or no less than any of the other networks to push their agenda. If your going to criticize Fox for being open an honest about their stance on the president, his agenda and his decisions then you need to be as critical about CNN and MSNBC and all the other networks. 3, As far as I can tell the only ones calling anyone racist is the left wing media. I don't call people racist, Jim doesn't call people racist, from all the posts I've read on here no one is calling anyone racist save for you and all the people who come on here, start a fight, then leave. What's going on in this country is sad, disgusting and it needs to be stopped. No one party is right, there is no lesser of two evils and that's why when Jim says we need to vote every last one of these suckers, he doesn't just mean the Dems, he means every single government fat cat who is more concerned with keeping his seat than running the country properly. @chris-os…whom, exactly, is still demonizing Sherrod? Defend them to who? i make my points. Funny, You don't ask anyone else here to "defend " their points. Driving to work this week, Laura Ingraham was calling Sherrod "Charade" and played her clips mocking her over and over. The right really has no shame-and will never, ever censure their own. "Fox has been advancing the Van Jones, Acorn, The new Black Panthers (all 2 of them) and Sherrod stories ad nauseum-why? Because it is the old “the blacks are taking the whites’ jobs, black people are racist against white people”." The reason Fox does this is because the other media will not. Each of those stories is valid, whether you like it or not, yet you don't see it on MSM outlets. Blacks have unemployment rates approximately twice that of whites (http://www.bls.gov/webapps/legacy/cpsatab2.htm). They aren't taking anyone's job. Blacks can be racist and bigots too. No race is free of that deadly sin. 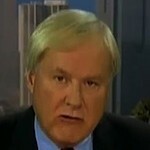 You know, if your so concerned with people censoring their beliefs why not ask Chris Matthews to stop hating on the Tea Party folk? Or maybe ask Obama to stop assuming all cops are RACCCCCCIIIIISSSSSTTT? Or I don't know, ask the entire Democrat party to actually listen to someone elses point of view for ten seconds before just assuming their a black hating moron with who still makes fire with two sticks in a cave in his backyard. And why shouldn't Fox report on these stories? Who else is reporting them? Because the other networks aren't, these stories are not relevent? Well excuse me for not wanting to live in the dark, but I appreciate that Fox cares enough to atleast let me know there is another side to the story. when I saw ben jealous speak on tv, and when I read the naacp materials regarding the tea party, I did not see any evidence of them calling the whole tea party racist. They (hypocritically) called on tea party leaders to condemn racist elements of the tea party. In response, there were many claims that there was no racism in the tea party, then Mark Williams went ahead and proved those claims to be false. He may be the only one, but he was a very visible one, and then he was quickly dismissed by the National Tea Party Federation. Joe Biden (is he a "lefty"?) also said the tea party was not a racist organization. The false claim that the entire tea party is considered racist may make for a more simple minded and shrill argument, but the truth, as usual is much more nuanced. Maybe the NAACP should show good faith and purge the racist elements out of their group. Start with that race hustler Al Sharpton. He has made a career out of race. defend "racist elements in their group". A whole sentence would be helpful, chris. It is impossible to argue with idealogues who make the facts fit their beliefs, rather than use facts to form their beiliefs. Idealogues didn't give Bush any credit for his successes and they won't give Obama any credit for his. I can't think of a president that hasn't been savaged by idealogues. From the middle of the road, I see that with the exception of health care reform, Bush and Obama probably would have pursued similar solutions to critical domestic problems (unemployment, financial crisis, a failing auto industry and immigration). Why? Because in times of crisis strict ideology, which is great in theory but rarely in practice, is eventually replaced by pragmatism. All this viral Obama bashing disturbs me as much as Bush, Clinton, Bush 1 and Reagan bashing. It hurts the country. I agree with you, Mr. R. I've been watching the civic discourse degrade since the early 1960s. What bothers me about the present time is that all civility has disappeared, any sense of rhetorical skill/success has been dumbed down, and polarization in political matters only grows. We have ad hominem substituting for reason, strawmen masquerading as arguments, tu quoque used as an excuse, fan boys passing as members of the debate team, and opinion standing in for fact. If this is "you got our guy, so we're gonna get yours", then President Obama is in for a truly difficult time. The savaging of President Bush was more vicious than I've ever seen. I had never heard a President of the United States called a chimp before. Ever. Imagine the uproar we'd hear if that particular ad hominem were cast at Obama. Revenge is revenge, and it will be taken — so says the human condition. This country isn't just "hurt", it's seriously wounded. In my opinion, we are set up for the ultimate failure of discourse: a civil war. It may not begin tomorrow, or even next year; but I think the seeds are sown. All it will take is that catastrophic event which causes the loss of liberty, and if the reactions are as strong as these opinions, we are in a lot of trouble. I absolutely agree with both of you. Discourse has descended to rancor and vitriol. It probably took root after Nixon, and has gone downhill ever since. The pendulum swings back and forth, but the swinging has been further and further to either end. The real fix for this would be a return to a truly objective press. We need editors that are trained in rooting out the opinion from stories, kicking them back until they are done correctly. The recent JournOlist controversy is the most clear manifestation of that. I mean, alleged "journalists" colluding and conspiring to shape the news rather than simply report it? That is criminal at worst and grossly unethical at best. Once we can get back to honest reporting with real and relevant facts, the sooner we will return to an informed citizen, and through that, informed and reasonable political candidates. Think about it: is the dreaded sound bite any worse that using only the selected parts of Sherrod's speech? Is reporting spin and talking points as news justifiable, or the sign of lazy and biased reporters? Should political candidates be allowed to pre screen reporter's questions before a press conference? Should a presidential speech be released before the speech is given, so that the media can digest what the president says before we actually listen to it ourselves? Why do presidents have press secretaries? They should be out there defending their decisions themselves, not having it predigested by some flack who never seems to know anything. Obama had promise, and if he had kept to his pledges of transparency, openness etc., reined in the Democrat leadership and stifled the reflexive racism, he would have a lot more support from voters, including me, and we would have arguably better bills and economic solutions than we are seeing now. He had the perfect opportunity to do that, but he started to believe his own BS. The speed with which he abandoned bipartisanship and adopted the "I won" mentality was stunning, and resulted in the problems he is having now. He can still reverse the problem, and return to his campaign pledges, and may have to after the November elections. Time will tell. Dims, Obama abandoned bipartisanship faster than a speeding bullet…And when he went to the "I won" mentality, any class he appeared to have before dissolved before our eyes. There have been more moments during his presidency than any other in my lifetime where I have found myself shaking my head in shame that this, our president, is the most powerful leader in the free world. Personally I think the man is a racist. I think his party is racist. With the left-wing media making it all about his skin color from the time he was elected they were setting up for any criticism he might get down the road. For me, it's NOT about his skin color! It's about the fact that he's a socialist and is ruining our country…and he has a democrat-run house & senate who are more than happy to do his bidding. If you think his policies are bad for the country and for your household personally, you're not a dissatisfied American voter/citizen, you're automatically a racist. Phooey to that! Dims: I don't think anybody can tell for sure who abandoned bi-partisanship. I do recall some people on the right saying from the beginning they were committed to the failure of the Obama presidency, and then acting as if it were true. Why they would do such a thing is within the realm of politics as usual: same reason that Obama might harp on the Republicans for not playing nice. As you may recall the media pundits at the time of Obama's election were predicting something akin to the end of the Republican Party. No wonder the Reps. would do anything it takes to help Obama flop. I don't doubt that if the shoe was on the other foot, the Dems would do the same, which certainly fits with the common belief that staying in power is more important than actually governing. Maybe it's time to dust off the old arguments for term limits. It takes two to tango. I don't think you would disagree that there were some pretty vitriolic people committed to the failure of the Bush presidency. And the Clinton presidency, the G.H.W. Bush's, Reagan etc. (Carter deserves what he gets). I agree: term limits and no congressional "golden parachute" retirement benefits. Howsabout NO benefits? What gets me about all of thisis race has nothing to do with it. There isn't a single politician out there running a campaign based on his racial (if he/she has any) beliefs. See, I had thought this country had moved past race, that we were all one people, Americans. But everything comes back to your skin tone for these people. EVERYTHING. And it's getting to the point where even in public, at work or the store you have to tip toe around what you say because someone might think your racist. It's BS and I'm tired of it. WHAT IS THAT! This is the culture our kids are being raised in? And these are the people doing the raising? No wonder race has become such a hot button issue lately, it's because these people will not let it go. Personally I think the right needs to stop acknowlging any and all claims of racist and just laugh at the left for sinking that low. It's time to take the high ground and no longer listen to "those who would do us harm" because all they do is lie and spread nonsensical rumors about us and who we are. First, let's establish that some kind of action should be attached to the label of "racist". A lynching, for example, or intentionally infringing on someone's rights based on their race. I'm hearing the term too much lately. It's a lazy word that gets thrown around by just about everybody and, as a result, diminishes the actual sting of what real racism does to people. I find it extremely frustrating that left wing commentators keep talking about racist Tea Party people or racist Republicans, but it's equally despicable for conservatives to keep attributing Obama's victory to his skin color (like you did in one of the comments above) or dismissing Sotomayor as a racist and an affirmative action hire. Nobody on either side can claim to be correct on this one. We've let buzz words like racism and socialism fill in for actual arguments and it's really dumbing down the conversation. I believe you are spot on, Ham! "Or maybe ask Obama to stop assuming all cops are RACCCCCCIIIIISSSSSTTT?" Wow-when did he say that?? And, you're quote that I said "the right is racist" is another flagrant falsehood. Put all your posts in a resume, maybe you could get a job for Fixed news, or Biggovernment! "Fixed news"? Who wants to work for the NYTimes? 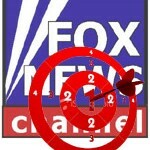 Like big oil and big insurance, Fox News is now a legit target for the left The racist right wing talkers have too much power over …. Obama?